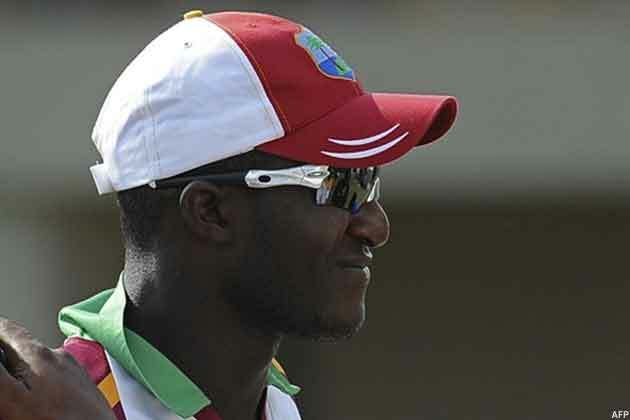 Captain Darren Sammy said Monday the West Indies were pleased to have finished the Bangladesh tour on a winning note but disappointed at failing to win all formats during the series. He was speaking after the Caribbean side beat Bangladesh by 18 runs in the one-off Twenty20 International at the Shere Bangla National Stadium on Monday. The victory came on the heels of their two-wicket defeat Saturday which saw them concede the five-match one-day series 2-3. "We won the same amount of series as we did last year (in Bangladesh) so we haven't achieved the goal we left the Caribbean with but with that said I think Bangladesh played really well especially in the limited overs cricket," Sammy told reporters. "I guess they've worked hard over the years and when you work hard you get results. We're disappointed we didn't win the one-day series but when we look back at the year, we achieved good things in 2012." The West Indies swept the two-match Test series but stumbled badly in the limited overs rubber, losing the first two matches in Khulna to fall behind 0-2. They recovered well to win the first two games here in Dhaka and level the series before succumbing in the decisive fifth game. Sammy said despite the letdown of the one-day series, there were plenty positives to take from the tour. "When you look back we won four Test matches in a year and four Test matches in a row, something that has not been done since our manager Richie Richardson was captain," he pointed out.